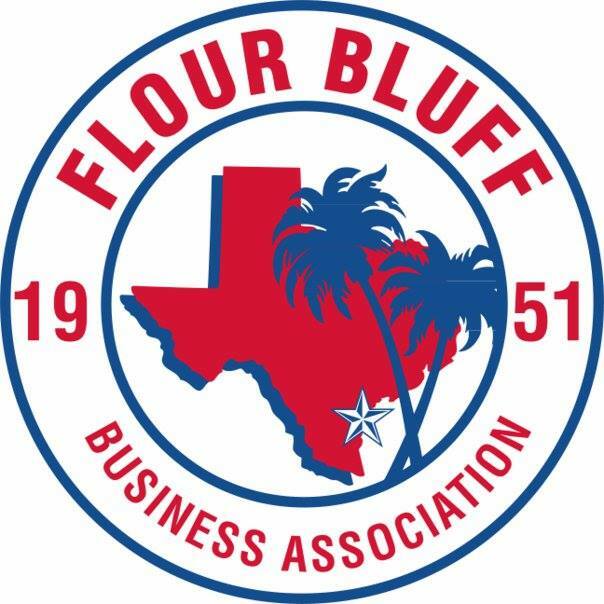 The Flour Bluff Business Association was honored to have Charles W. Zahn, Jr., the current Chairman of the Port Corpus Christi Commission, as its keynote speaker at the regular monthly meeting held July 13, 2016, at Funtrackers in Flour Bluff. Zahn holds a Bachelor of Arts from Texas A&M University, a Doctor of Jurisprudence from Baylor University, and is Partner in the Law Offices of Charles W. Zahn, Jr. Chairman Zahn is a long-time resident of Port Aransas, Texas, where his community involvement and organizational affiliations include Port Aransas Parks and Recreation Board, Port Aransas Charter Commission, Port Aransas Rotary Club, Friends of the Ellis Library, Keep Port Aransas Beautiful, Port Aransas Preservation and Historical Association, Aransas County ISD Education Foundation, and Coastal Conservation Association, to name a few. Commissioner Zahn also serves on the Nueces County Board of Park Commissioners. Because of his commitment to community Chairman Zahn has received numerous awards with the Boy Scouts of America, was named 2005 Citizen of the Year by the City of Port Aransas, and is a recipient of the Jerry McDonald Award for Service to Youth. He has also been leading the way to correct the problems for the Coastal Bend created by the Texas Windstorm Insurance Association. Zahn acknowledged Greg Smith, a Corpus Christi City Council District 4 candidate and lifetime Flour Bluff resident, for being one of the leaders in the area who has actively worked for the last 6 years to initiate legislation to relieve the financial burden placed on coastal residents. “Anybody who knows me knows that the number one thing that I believe in as I get involved in an organization is planning. 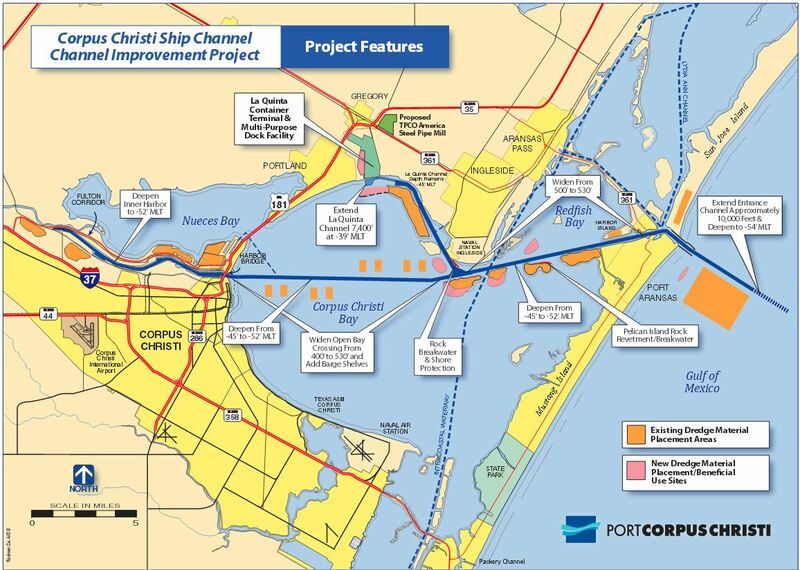 Five years ago when I went onto the commission as a representative of the county, I asked about the long-range plan for the Port of Corpus Christi, and we didn’t have one. We sold a piece of property in Ingleside in excess of $100 million, and I asked what we were going to do with the money,” said Zahn. When no one could give him an answer to the question, he demanded that they create a long-range plan. In the process of developing the plan, “Leverage commerce to drive prosperity” became the mission statement with “To be the energy port of the Americas” as the vision statement. Zahn told how he and others have carried that vision up and down the Texas coast, to Cuba, Panama, and Mexico City. “We are carrying the message that we are the energy port of the Americas and that Texas is a business-friendly state,” he said. 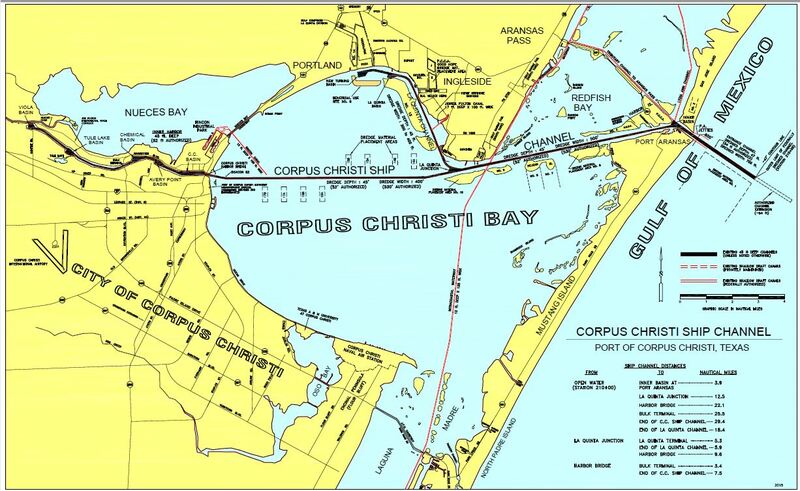 Efforts to encourage others to use the port, which was founded in 1926, to bring business to the area is the primary goal of the 7-member commission composed of three appointed by the City of Corpus Christi, three appointed by Nueces County, and one appointed by the San Patricio County Commissioners Court. “First, we are environmental leaders. Every project that we or our industry partners are involved with carefully considers our bays and estuaries as part of every decision we make in evaluating port projects. Second, we believe in safety,” Zahn said. He explained that they don’t just encourage safe practices; they teach safe practices with all employees through specialized training, and all meetings begin with a safety report. “Third is security,” Zahn added, citing the impact of 9/11 on all ports. “We have a state-of-the-art security team. We have almost 200 employees who are part of the Port of Corpus Christi, and 50 of those deal directly with security who work for you and I, 24/7, 365 days a year.” Zahn explained that the port collaborates with all law enforcement agencies to ensure the security of the port and the surrounding areas. Zahn captivated the audience with his informative talk on the past (when the port was primarily a cotton port in the1920s that evolved into more of an energy-based port in the 1950s), the present (diversification of the product to include more than just Citgo, Valero, and Flint Hills), and the future role of the Port of Corpus Christi in the world. As the 5th largest port in the United States by tonnage, the port currently has 36-miles of channel and 36,000 acres of land and is planning for future growth.